Hao Wang is currently an associate professor and deputy chair of the finance department at the School of Economics and Management, Tsinghua University. He received a Ph.D. degree in finance from McGill University in 2007. Hao Wang was elected to the Yangtze River Scholar Program of Ministry of Education of China in 2016. Hao Wang’s primary research interests cover Chinese financial markets and reforms, and implications of ambiguity (Knightain uncertainty) for asset pricing, corporate policies, and financial regulations. 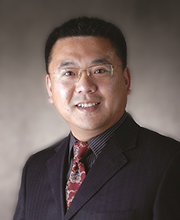 Hao Wang has published papers in Journal of Financial Economics and other leading academic journals. His research received many academic awards, including the inaugural Sun Yefang Financial Innovation Award in 2015 and the CICF Best Paper Award in 2016.